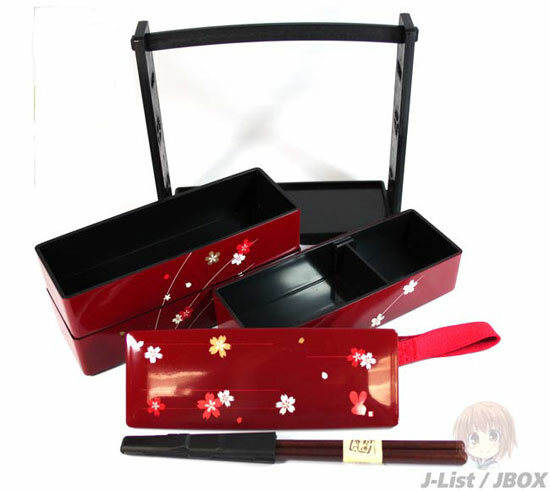 A thin design, the box is quite small, but with three tiers, gives you ample room for packing enough food to satisfy you. 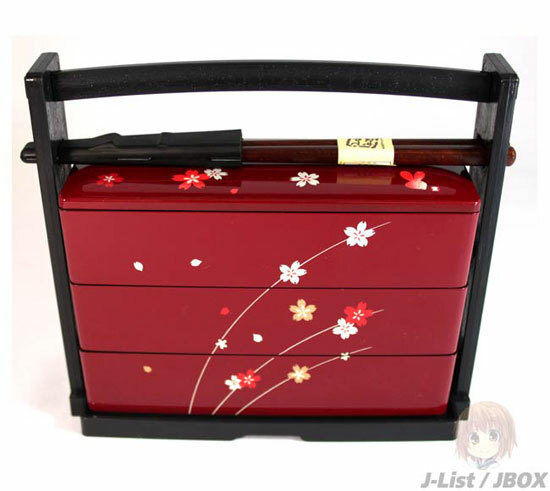 It comes with a gorgeous carrier, a red elastic band, and chopsticks that conveniently help secure the boxes in place. There aren’t individual covers for each tier; the box relies on the tier above it for cover and the top one has a little cover. I’d recommend washing your chopsticks in the bathroom before putting them back into the cover, otherwise you’ll end up with gross food bits inside there and I have no idea how you’d go about cleaning it. The box is on the pricier side at $35, but with such a gorgeous and inventive design, it’s not hard to imagine that you’d look pretty darn cool taking this baby to work.